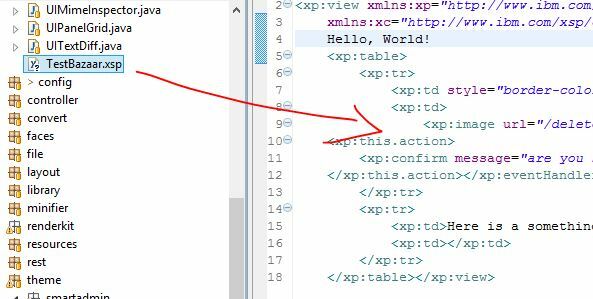 These are files such as XPages theme files with the .theme extension, and Xsp control configuration files with the .xsp-config extension. 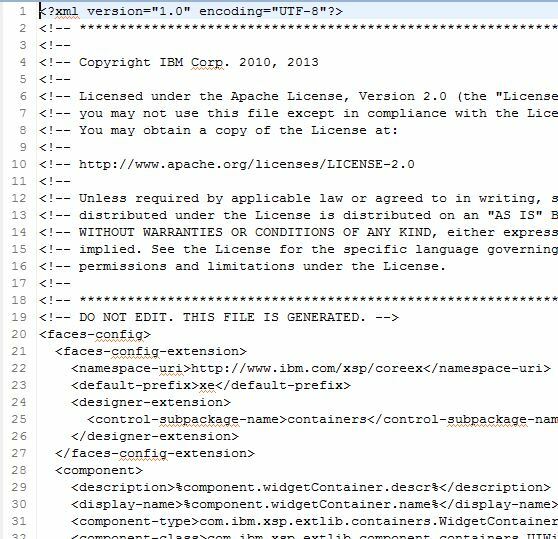 Unfortunately these file extensions are not associated with the XML Editor by default and this causes undesirable behaviour when you double-click them to open them for editing. When you attempt to open a .theme file, Eclipse thinks you want to apply an eclipse theme and you end up with this lovely error. So how do we fix this? 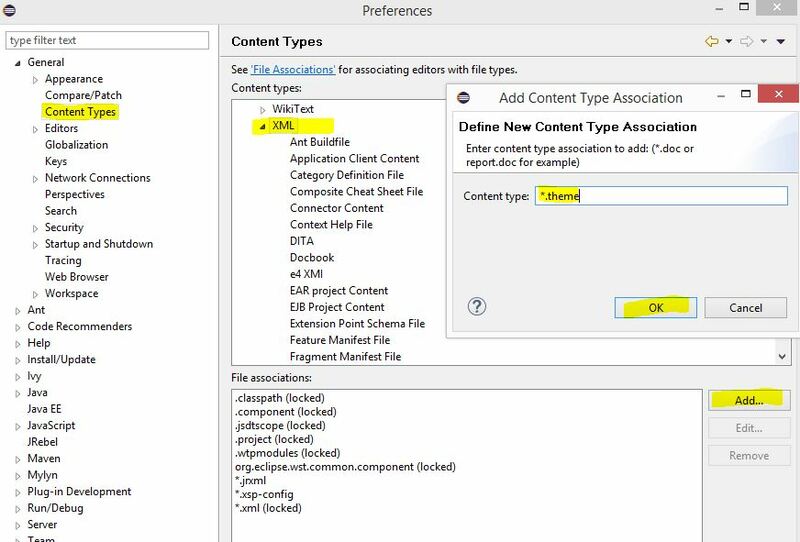 We have to add these as content types in the preferences section as below. We have our pretty colours and XML editor!